1.) Separate your eggs into yolks and whites in two different bowls. Add a pinch salt and beat on a medium speed while gradually adding sugar. Keep beating until you have a meringue. 2.) Continuing beat your egg yolks and add sugar. Beat until the size doubles. 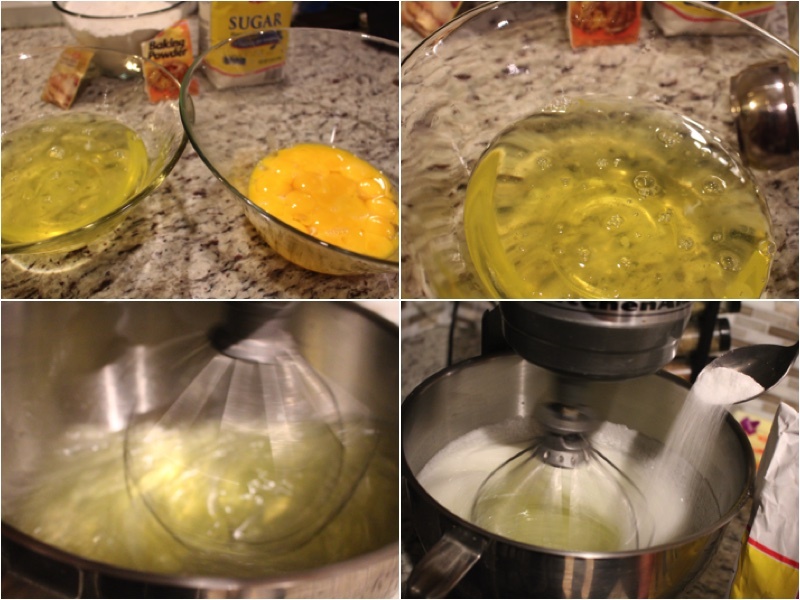 Beat your egg whites on a medium speed while add your egg yolks mixture. Next add your baking powder and sifted flour. 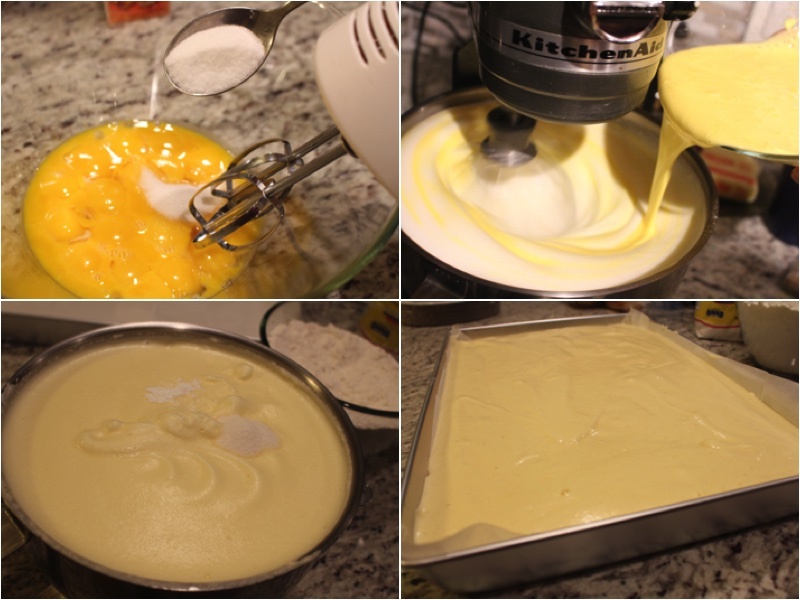 Mix together with a spatula, after pour it into a cake pan (12×24) with parchment paper. Bake for 35 minutes on 350ºF. Cook 3 of these cake layers. Let your cake layers cool down for 4 hours. 4.) Beat your butter on a medium speed for about 6 minutes, then add condensed milk and beat for another 4 minutes. 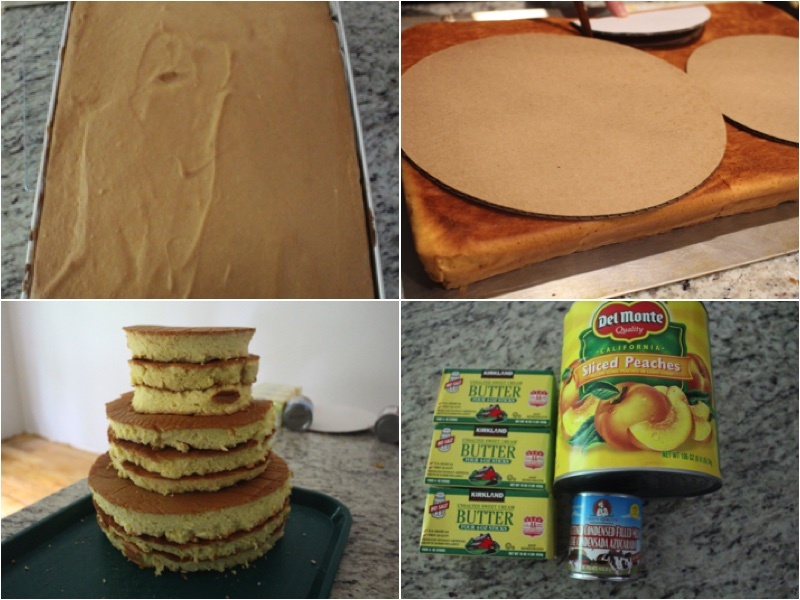 Using the juice from your caned peaches soak all of your cake layers and Using a spatula spread butter cream on top of all of your 1st cake layers. 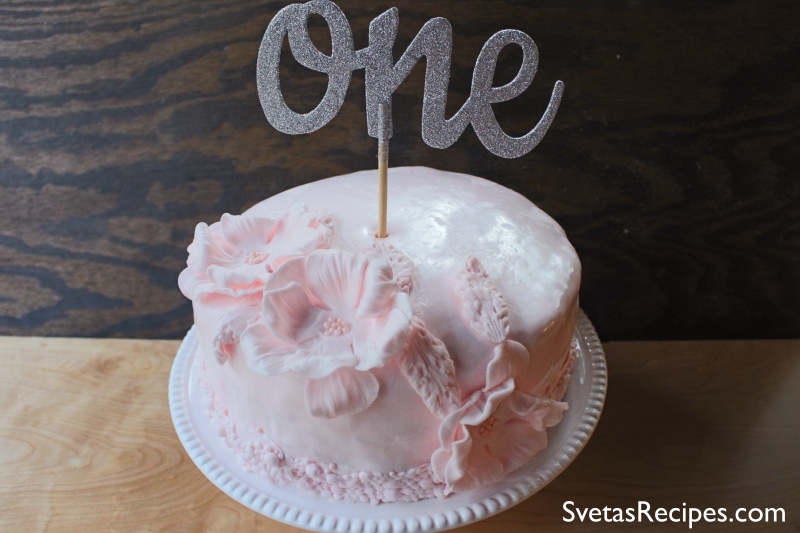 NOTE: I know that the main picture is only one cake but I was rushing to prepare for a birthday and didn’t have time to decorate the other ones. From the left overs of the cake pieces you can either make a mountain cake or you can eat them. 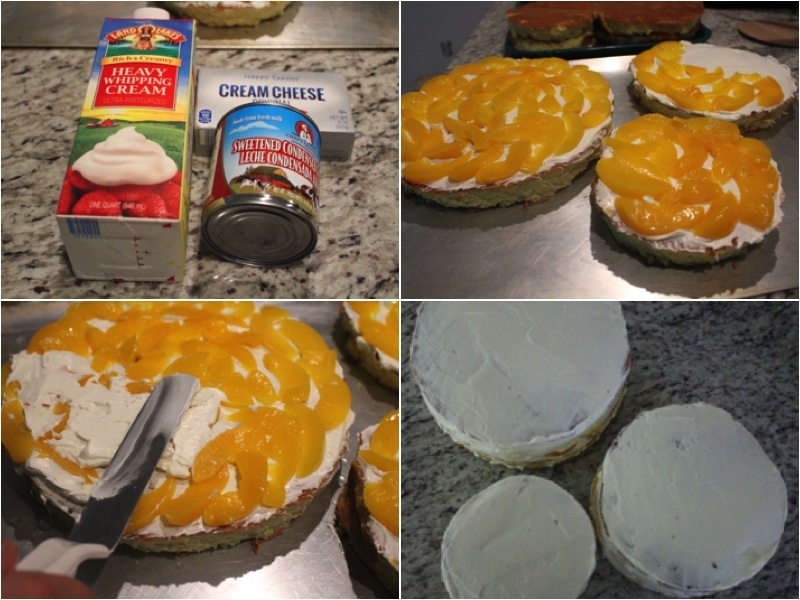 To make the mountain cake soak the left over with left juice and add your left over peaches on top and add the rest of your cream into the cake. If you would like I can create a recipe for it! 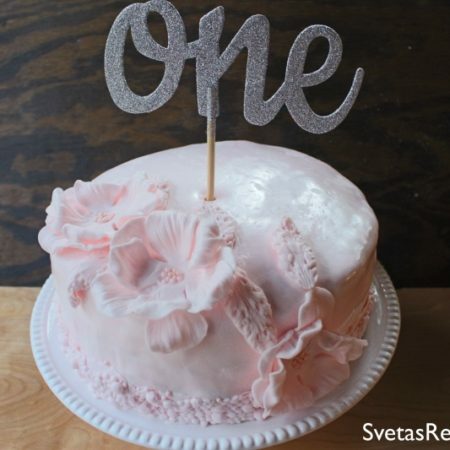 This cake not only looks fabulous but tastes even better, it's really soft and has a great aroma with the smell of peaches. Separate your eggs into yolks and whites in two different bowls. Add a pinch salt and beat on a medium speed while gradually adding sugar. Keep beating until you have a meringue. Continuing beat your egg yolks and add sugar. Beat until the size doubles. Beat your egg whites on a medium speed while add your egg yolks mixture. 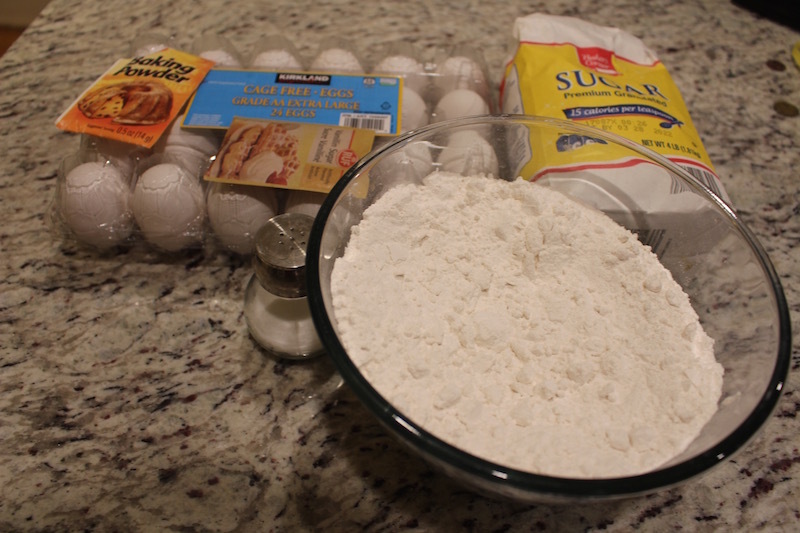 Next add your baking powder and sifted flour. 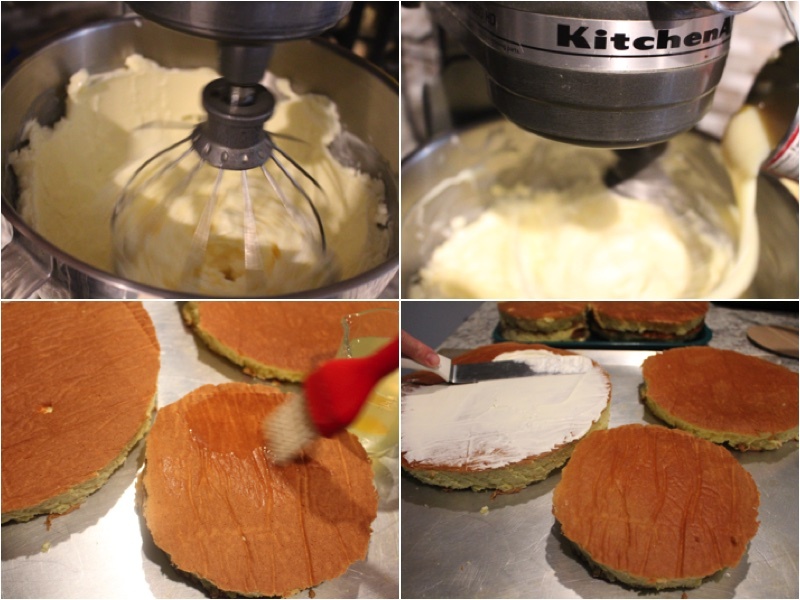 Mix together with a spatula, after pour it into a cake pan (12x24) with parchment paper. Bake for 35 minutes on 350ºF. Cook 3 of these cake layers. Let your cake layers cool down for 4 hours. Beat your butter on a medium speed for about 6 minutes, then add condensed milk and beat for another 4 minutes. Using the juice from your caned peaches soak all of your cake layers and Using a spatula spread butter cream on top of all of your 1st cake layers.